NutriAdmin uses a third-party database that contains over 360,000+ recipes. In order to search effectively in such a vast repository, there are a few options to filter and refine your search parameters so that you can find what you need faster. 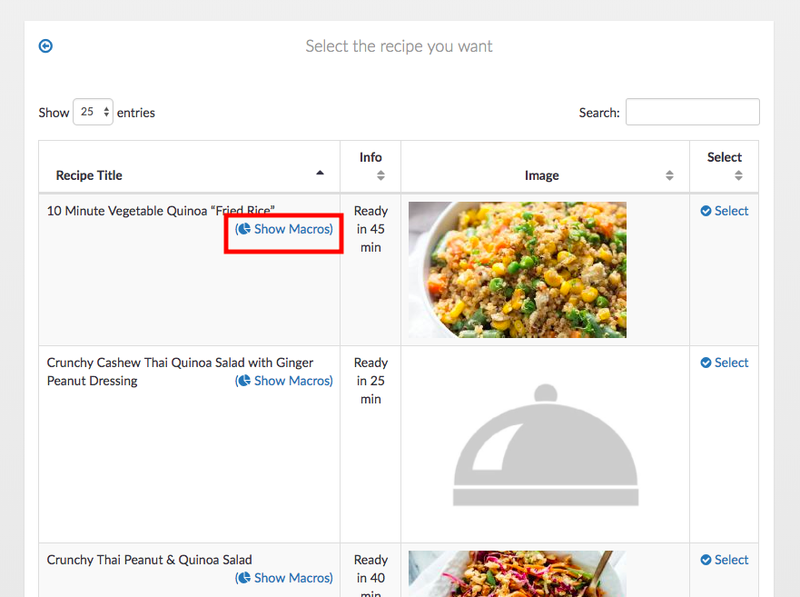 This article explains how to use the advanced search for recipes in NutriAdmin. 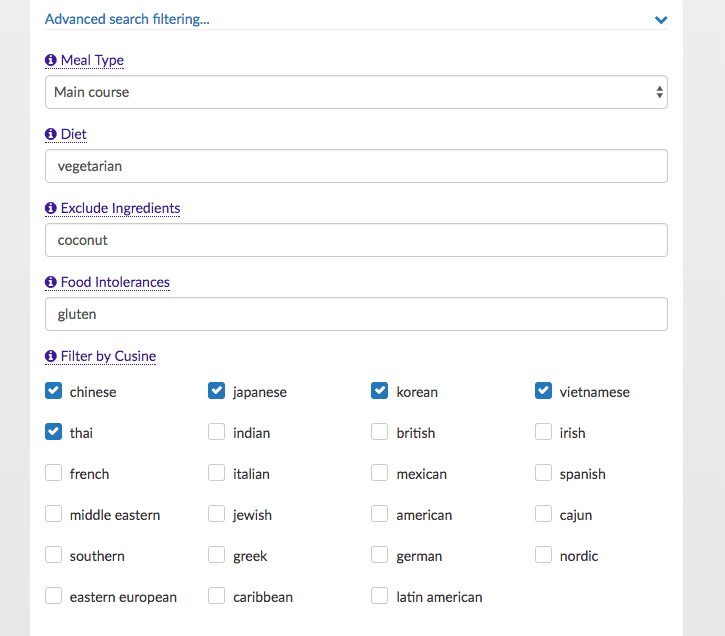 Note: The recipes database and advanced search functionality is only available on a subscription level of the Popular plan or higher. You can Click here to check pricing details. Step 1: Click on Recipes & Foods. Step 2: Click on New Recipe. Step 3: Click on Search Recipe Database. Step 4: Click on Advanced search filtering. 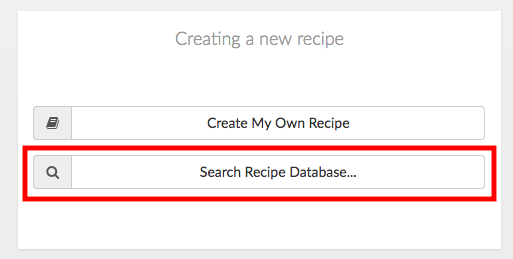 Step 6: Enter the name of the recipe you want to search for (or the main ingredient) and click the Search icon. Step 7: When you get the results back, you can click on the Show Macros button for any given recipe that picks your interest. This will load the macronutrient content of a given recipe after a short moment. You can use this information to decide if a recipe is suitable for what you are trying to achieve before loading the whole document. Note: If you enter very restrictive parameters on the filters for recipes you may get no results back. For example, searching for Pizza without bread or for vegetarian chicken will not yield any results. If you cannot find results for a specific query, you can click the back arrow highlighted below and try again with fewer restrictions. Step 1: Click on the Find by Macros tab. Step 2: Fill in at least one field in the form, then click Find by Macros. 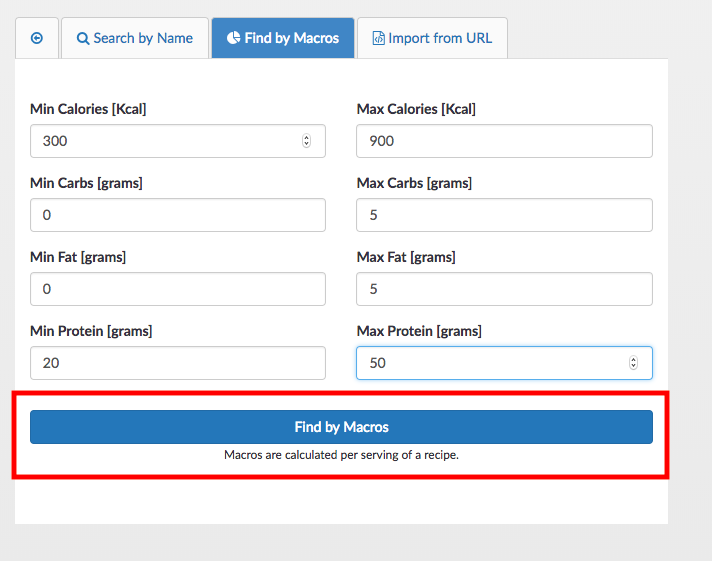 This functionality is specially useful when you are trying to find a recipe high in protein, low in fat, or within a certain calorie range.